The server industry is an intensely heated market. With businesses as the primary customer base, the profit margins, competition, and stakes are high as thousands of equipment and part manufacturers aggressively try to one-up each other. Is your company’s IT department in need of an upgrade? Well, before you buy Dell used server components from Network IT, let’s go into what new changes are coming to the industry. You might find your choices changing given current market circumstances. Server CPUs need to be power efficient, capable of 24/7 operation, and reliable enough for the demands of the enterprise market. There is certainly no shortage of competitors either, with Intel, AMD, IBM, and Qualcomm as major players in the industry. But while the goals are the same, the means have changed drastically. Process node size is an aspect of CPUs that affects space efficiency on the die; the smaller the node size, the better. Now that process node size has nearly reached a minimum due to manufacturing limitations in recent years, the new differentiators that affect CPU sales have switched to execution and architecture rather than node size. Driven by huge strides in CPU technology, servers have slowly transitioned away from dual-socket designs (ones with two CPUs running on the same logic board) to single-socket servers. Now that modern CPUs have core counts upwards of 32 and even more memory channels to scale, it makes sense from a power efficiency and complexity standpoint to have only one CPU operating in a server at a time. Also, specialized computing is seeing a boost in popularity as tasks usually assigned to the CPU are now being offloaded to a GPU or network interface card. Keep that in mind when you buy your Dell used server. There are three major speed categories of storage drives in computing. • The hard drive, a notoriously slow and loud but also low dollar-per-gigabyte ratio option found commonly in older machines. • The SAS SSD, a considerably faster option that uses flash memory technology. 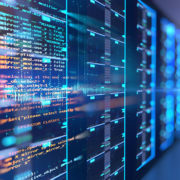 With no moving parts and hugely speedier performance than traditional HDDs, SSDs have seen a huge adoption rate among not only servers but also consumer-grade products. Their high price, however, allows hard drives to keep a market in the budget and archivist category. • The NVMe SSD, an even faster but even higher-cost alternative. Storage manufacturers soon found the previous SATA/SAS interface too small for newer drives and developed this standard in response that uses the PCIe bus instead. From boot drives to large-capacity storage, it makes more sense now thanks to decreasing prices to adopt NVMe SSDs in your server over spinning hard drives. 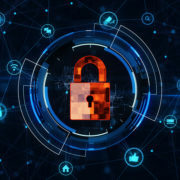 Security has always been a consideration for companies ever since cybercrime has been impacting small and large businesses alike in recent years. Server manufacturers are quick to respond, with Dell offering end-to-end architecture-based encryption on their newer PowerEdge models. However, cybercrime is always evolving to keep up, and CPU vulnerabilities are discovered nearly every few years. The next time you buy Dell used servers, try to choose models with specific security features. That’s a lot to consider, so why not make choosing your used component provider easy by contacting Network IT for your used servers and parts needs? Whether you want to buy Dell used servers or sell IBM used parts, Network IT is the trustworthy dealer that has been operating for over 20 years. • The server market is continually changing. Innovations include wider adoption of faster storage technologies, the evolution of CPUs, and a higher awareness of server security. • Even if you only buy Dell used servers for your company, these trends can impact your purchasing decisions. • Network IT provides customer service and warranties for all its low-cost pre-owned equipment. Even if you don’t work in IT, knowing what a router and a switch are puts you in a better position for dealing with corporate network management. What does a Juniper router do that a switch can’t? Which device will fulfill the needs of your business? 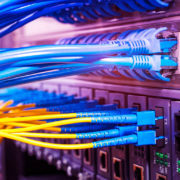 Both routers and switches are networking devices that connect computers, networks, and other devices together. A switch and a router are sometimes combined in a single device, but there are important distinctions between the two regarding core functionality. If you have a Juniper router installed, its job is to deliver data packets from one network point to another. That is, it decides where to send those data packets first. Routers store information about other routers in their networks and the conditions each router has. It then processes this information to find the best way for the data packets to get through the network to the destination. The most efficient path minimizes travel time and cost. 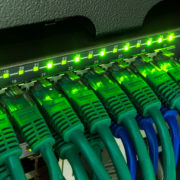 A switch, much like a router, connects computers in a network. In contrast, switches tend to have multiple ports for managing the flow of signals and can add new addresses for new destinations on the fly. Once data is received at a switch port, that data is forwarded through a stored MAC address. If there is no given destination, the switch sends the data out to all the ports and waits for the correct port to respond. It then remembers the new MAC address. So should you get a Juniper router or a switch? In a nutshell, these are the major differences between the two networking devices. • Routers can connect devices located in different networks. Switches are confined to only computers in the same network. • Routers use IP addresses whereas switches use MAC addresses for finding the destination for a data packet. • Routers are “smarter” in the sense they use optimization algorithms for determining the best path for a data packet through the network. • Switches must be wired, but routers have the option of going wireless. • Switches are set and forget. Routers have their own operating system and need to be configured before use. Get your Juniper routers, Cisco switches, and other networking paraphernalia from Network IT if you want competitive prices for refurbished goods. We have an extensive catalogue of used and refurbished networking equipment that is guaranteed to satisfy all of your networking needs. Don’t think “used” necessarily means risky. Our team of experienced technicians are so confident in our products that we offer one-year warranties on all sales and are ready to provide top-end customer service when you need it most. Contact us today. We also offer additional support should you need it. Do you have questions? Feel free to contact a member of the Network IT team today. • Routers and switches both serve as connections between different devices in networks. They are essential in the communications of modern businesses, as they improve efficiency, costs, security, and customer service. • Routers, however, can connect devices in different networks, use IP addresses rather than MAC addresses, use path optimization for delivering data, and come with configurable operating systems. • Looking for Juniper routers, IBM servers, Cisco switches, or other networking-related business products? Give us a call at Network IT if you do business in the Toronto area. What Extra Features Does Cisco SMARTnet Offer and Is It Worth It For You? Cisco is widely renowned as one of the best manufacturers of networking equipment. Like most providers, Cisco offers a variety of warranties and technical support plans to help your business effectively manage your network with reliable products. 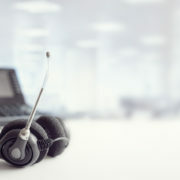 Warranties are a guarantee that Cisco believes its products will function correctly and will be responsible for any replacement or repair of defective equipment in due time. Depending on how much you want to invest, customers have the option of upgrading their standard warranty to a Cisco SMARTnet service. Understanding the similarities and differences between a standard warranty and Cisco SMARTnet will enable IT employees to make educated decisions regarding their business’s networking. Both plans cover all hardware and software-related replacements and repairs, including operating systems with few exceptions. However, application software updates are not included with either option. Those are only available on Cisco SAS and SASU plans through Software Application Support. You also won’t find security threat protection, which is mainly offered by Cisco’s IPS (Intrusion Prevention Systems) service. • Faster hardware replacement. Standard warranties will send new equipment to your door within 10 business days. 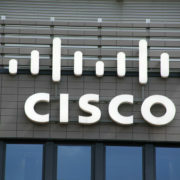 Cisco SMARTnet will send it on the next available business day. The benefits extend beyond simple replacement though. • The coverage period is longer as well. Standard duration is generally 90 days for hardware and software with some lifetime warranty options. Cisco SMARTnet gives you renewable contracts that last several years at a time. • Cisco Technical Assistance Center (TAC) is a feature of Cisco SMARTnet, where you can get full coverage with documents and online resources for troubleshooting technical issues. • The main reason Cisco SMARTnet is such a popular option is the onsite servicing options available exclusively with the plan. Certified Cisco technicians can do your networking troubleshooting for you. • Finally, you get bonuses like operating system updates and registered online technical support. Cisco SMARTnet is a reliable program that is recommended for businesses that want a plan that offers a lot of coverage. If you have any questions about it, feel free to contact a member of the Network IT team today. Choosing Cisco SMARTnet is a great idea if you want to avoid any problems with mission-critical projects. Beyond your support needs, Network IT offers quality networking equipment without breaking your company budget. While used hardware is seen as risky by many, Network IT makes the process reliable and easy with warranties and service. We recommend you browse our extensive list of used and refurbished networking equipment. We know used components and servers better than anyone else. Contact us today and let your 20 years of experience bring your organization products from the best brands like Cisco, HP, and Juniper. Expect the most competitive prices too. • Got a new Cisco network running? You should take the time to think about your warranty options. Cisco offers a standard warranty alongside a special program known as Cisco SMARTnet. • SMARTnet, in addition to hardware and software protection, adds on faster replacement times, longer coverage times, online resources, and onsite services. It might be the choice for you if your company is serious about networking. • Network IT sells refurbished and used networking equipment, including routers and switches from Cisco, at competitive prices with great warranties. https://www.netnit.com/wp-content/uploads/2019/02/bigstock-Technology-Background-For-Smar-197982703.jpg 601 900 admin https://www.netnit.com/wp-content/uploads/2017/08/netlogo2-300x73.png admin2019-02-11 21:09:242019-02-11 21:09:24What Extra Features Does Cisco SMARTnet Offer and Is It Worth It For You? What’s the Difference Between Routing and Switching LAN/WAN? Any IT employee should know the difference between LAN and WAN networks. Routing and Switching LAN/WAN involves an arrangement of multiple computers that share system resources like CPU processing and storage space. There are two main types of these networks: Local Area Network (LAN) and Wide Area Network (WAN). They share many of the same benefits and purposes, but read on to understand the different cases each is used for. What are the advantages of LAN? ● Making it easier for multiple devices to use a single piece of hardware. Several computers in a house can print to the same printer for example. ● Software can be shared as well, though some programs require licensing for each client. ● Facilitating communication among the members of the network. ● Centralized backups and unified file servers allow every user to access their own file server from any client device. What are some disadvantages of Routing and Switching LAN? ● Like any case where computers and devices are interconnected, viruses can spread more easily through a LAN network. One infected client can compromise neighboring clients, so additional steps are necessary to ensure security. Encryption and password protection are the most common tactics. ● Installing and maintaining new software can be complicated. ● Should an issue with the server occur, all client devices will be affected. In contrast to LAN, Routing and Switching WAN is typically used in large, separate offices. The main distinction is that WAN is not confined to a single building. 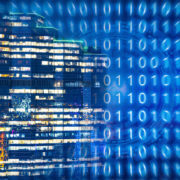 Rather, a WAN network can connect several offices scattered across the world. The worldwide Internet can be considered a WAN network. Ethernet is a well-known WAN variant. What are the advantages and disadvantages of WAN? The pros and cons of both Routing and Switching LAN/WAN are rather similar. However, WAN is more versatile since its network can extend beyond the boundaries of a single location. At the same time, virus protection is even more important since virus entry points are more spread out in a WAN network. That’s why encryption and the protection against data interception is such a necessity in a WAN network. Why choose Network IT when you need networking equipment like routing and switching LAN/WAN devices? If your budget needs a boost, consider getting used or refurbished equipment competitively-priced to give you the best experience at the lowest cost. There’s no reason for you to pay more than you have to for your networking equipment. Network IT has been serving enterprise-grade businesses throughout the Toronto area for over 20 years. Our generous warranties and customer support will ensure your business gets the benefits of new equipment without the additional cost. Contact us today if you are interested in learning more about our current inventory. ● Routing and Switching LAN/WAN are both networking systems where computers and hardware can communicate. ● WAN, in contrast to LAN, can extend beyond the range of a single building. WAN potentially allows communication between a wider variety of devices but also increases the threat of virus infection. ● Network IT is your business’s go-to for used networking equipment, including routers and switches for WAN and LAN connections. https://www.netnit.com/wp-content/uploads/2019/02/bigstock-Server-Room-D-Illustration-Wi-228657106.jpg 655 900 admin https://www.netnit.com/wp-content/uploads/2017/08/netlogo2-300x73.png admin2019-02-11 20:52:332019-02-11 20:52:33What’s the Difference Between Routing and Switching LAN/WAN? Sometimes, second-hand is your best option. This is true even for businesses looking to expand their tech inventory of servers to computer components. Smaller firms without the resources of larger businesses may choose to take a risk with buying Dell used parts. Doing so is a perfectly valid way to save some of the budget, but there are a few things to consider and questions to ask before taking the plunge. What is the company going to be using the new parts for? What operating system will the servers/clients be running? What programs will be run on the machines? What do you expect to achieve with the new hardware? How will your priorities change in the coming years? Questions like these not only help you decide on the initial investment but also determine how much you will spend on a warranty and how much future expandability you should pay for. Not everything fits together like a puzzle piece. Every manufacturer of any product has its own standards it adheres to, and the hardware you choose should work well with the software your business uses. It’s heavily recommended to buy ISV-certified equipment. ISV, or independent software vendor, includes programs that run on multiple configurations of hardware and operating systems. Since your choices of what to buy might be more limited in the used market, take some time to ensure buying that Dell used part will work with the other components you already have. How Old Are the Parts? Performance degradation of computer components (such as CPUs, GPUs, motherboards, RAM, etc.) generally doesn’t occur over time, and business-grade hardware tends to last longer than consumer-grade equipment. However, wear and tear from everyday handling can still reduce the lifespan of used and refurbished goods. Try to find resellers that provide warranties and customer support if you’re shopping used. Just like shopping for new items, the specifications of what you’re buying needs to be enough for your purposes. How much RAM does it come with and is the memory expandable? Is the CPU sufficient? Most processors you will be going for come from Intel or AMD. Take some time to understand the different generations of CPUs and the differences among them. Understand that high-end desktops differ from servers in that a server runs a specialized operating system designed to support multiple users. Many shared programs like company databases, messaging, and internalized email are handled through servers. CPUs in servers are equipped with a large number of cores to process multiple parallel jobs at once. They can run for extended periods of time, support storage redundancy configurations, and have error-checking RAM to prevent data loss. All these features cost extra, hence why server-grade hardware is far more expensive than desktop-grade hardware. If you choose to buy refurbished or used server parts, buy from popular manufacturers like HP, IBM, Lenovo, and Dell. In contrast to cloud storage, local servers are more secure and don’t come with the same privacy concerns. In the market for buying Dell used parts or HP server components? If your organization operates around the Toronto area, Network IT is one of the best vendors you can buy from. With over 15 years of experience selling to enterprise customers, you can expect generous warranties and customer support with Network IT. Contact us today. Start saving money on the company budget by buying used computer components, as tech equipment falls in price sharply in the second-hand market. Always check your intended use case, the product’s age, and any warranties available before buying that Dell used part. Network IT is Toronto’s ideal source for used server and networking equipment. So you’re a manager or owner of a small business that needs some servers or networking hardware. What providers should you turn to? Cisco or Juniper? While Cisco is certainly the most popular brand large enterprises look towards for switches and routers, there are many reasons why small businesses should choose Juniper switches. Different services and products work well for different scales and use cases. 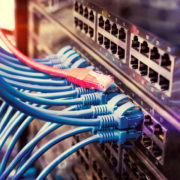 Juniper switches are a great option for many small companies in contrast to other competitors. Let’s go into why. “Bang for your buck” is naturally not a feature of top-end products. While Cisco might be the best option for larger companies, smaller players get to enjoy lower prices and better consumer choice with Juniper. The company was founded to provide more flexibility for new and growing firms in response to Cisco’s rigid grip on the industry. Juniper switches themselves can scale to a wide variety of projects. They range from 12-port switches to large 96-port ones, all with varying Gigabit bandwidth standards. Just because they’re not the largest, doesn’t mean Juniper hasn’t improved itself over time. As late as 2015, the company’s market share hit 28%, closing in on Cisco’s 49% share. This feat can be attributed to Juniper’s focus on high-performance speeds with low latency. Their switches offer the best speed to dollar ratio of many of their competitors. Not only that, but the company is also entirely focused on pioneering new inventions in networking equipment, switches, and routers. Other alternatives, in contrast, have focused more of their research and development funds diversifying into other markets. JUNOS is the operating system that comes with Juniper switches and routers. This OS enables a modular approach to installing your company’s network. Every component is separate from one another so that an issue in one sector isn’t enough to force downtime for your entire system. Another benefit of JUNOS is the consistent operation of all Juniper equipment in your network. All products, from routing platforms to security to switches, come with a consistent user interface. Other manufacturers tend to have wildly varying user experiences across the board. As your business grows, so does your network. With smart coordination and administration of the networking, Juniper systems enable seamless additions of more hardware. Rather than adding bottlenecks, expanding a Juniper system adds more functionality without the hassle. Are you looking for Juniper switches and routers? Contact us at Network IT – we have exactly what you need. Network IT provides the best combination of warranties, support, and affordable pricing whether you want Juniper equipment, Cisco routers, or Dell servers. Serving the Toronto and GTA for over 15 years, we’re ready to cover any use case your small business needs. Among the many providers of networking switches and routers, Juniper might be the best option for small business owners compared to larger services like Cisco for a variety of reasons. Juniper switches, for instance, tend to offer more “bang for your buck” value, more customizability, and a more streamlined experience than the competition. No matter who you ultimately decide on, get your refurbished equipment at Network IT. You’ll be glad you chose the service that offers the best consumer confidence regardless of your organization’s size, needs, and use cases. When Would You Need Cisco SMARTnet? Don’t fall for the misconception that warranties and support are a waste of money. 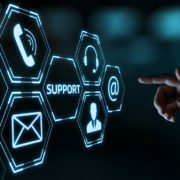 While hardware failures are much less common for business-grade equipment, protecting your investment with technical support that extends beyond your business’s internal IT department is never a bad idea. Avoid costly malfunctions and wasted company time by investing in Cisco SMARTnet. But what issues might call for SMARTnet, and how can Cisco help you in those cases? Cisco SMARTnet offers a plethora of self-help resources available conveniently online. This extensive knowledge library includes software downloads, tips and tricks, and common troubleshooting advice. Your IT department might be able to fix most issues without opening a support ticket. No matter what model, manufacturer, or product you buy, always expect occasional problems. In the event of a damaged component, sometimes there’s no time to fix the issue. Instead, rely on Cisco SMARTnet’s fast and efficient replacement process. Business owners can enjoy new replacements within hourly delivery times. With hundreds of software suites and programs businesses use daily, keeping track of what’s up to date and what needs upgrading can be a hassle. With SMARTnet, many hardware manufacturers track upgrades directly with Cisco, allowing you to patch security vulnerabilities and improve with newer technologies as soon as new updates are released. Best of all, the process is mostly automatic, allowing your staff to focus on what matters. From your Cisco inventory management to lifecycle details to contract statuses, SMARTnet simplifies the paperwork by keeping track of all the items you own and all the contracts associated with each device. Simplify your company’s tech support with SMARTnet total care service and make opening new contract cases easy and simple to navigate. It’s no secret digital cyberattacks and equipment failure result in heavy losses for the organizations involved. Cisco SMARTnet customers typically reduce their security breach risk by 65% and save $1.6 million in network downtime with this service according to the Forrester Total Economic Impact Study. Cisco SMARTnet’s premier feature is the 24/7 Technical Assistance Center. TAC helps resolve critical issues by sending certified Cisco technicians to your business’s locations. Occasionally, an on-site technician will be assigned to your most remote areas, enabling fast response times. Convinced but don’t know where to start? Cisco SMARTnet is best paired with reliable Cisco-grade networking equipment, and Network IT has you covered. If you want quality refurbished goods at affordable prices with generous warranties and leading technical support, Network IT provides all of those amenities to enterprise-grade businesses across the Toronto area. We’ve been in business for over 20 years, so we know what we’re doing. Contact us soon if you want to take advantage of our services as well as Cisco SMARTnet. Networking and server equipment is vital to the operations of any modern business but is also prone to hardware failures and costly downtime. Cisco SMARTnet is an award-winning service designed to provide tech support, software updates, and replacement hardware when you need it most. Join Cisco’s growing list of happy customers today. Looking for some great deals on Cisco, IBM, HP, or Dell networking equipment and servers? 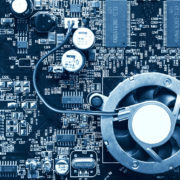 Network IT is your best bet for quality part sourcing. https://www.netnit.com/wp-content/uploads/2019/01/bigstock-Technical-Support-Center-Custo-255546067.jpg 743 1600 admin https://www.netnit.com/wp-content/uploads/2017/08/netlogo2-300x73.png admin2019-01-16 18:08:352019-01-16 18:08:35When Would You Need Cisco SMARTnet? Almost every business nowadays needs to be connected. From IP telephony and VoIP services to cloud-based management, online communication and all its associated risks are unavoidable for the modern business. Small businesses, in particular, are at high risk of cybersecurity attacks and data breaches. To prevent a costly wireless network security hassle, consider these tips for protecting you and your employees. You might have to upgrade the hardware in some cases as manufacturers phase out older models from official support. Whether it’s free Wi-Fi for your customers or necessary connections for your employees, deploy a firewall, set up a router password, and encrypt any vital information that passes through your network. Separate the public Wi-Fi your customers use from the one used by employees as well. Finally, use a Virtual Private Network or VPN when accessing important business files. VPNs mask your IP address and encrypt your browsing data. Because free VPN services are typically unreliable, aim for a paid version, as corporate discounts are common for small businesses. Two-factor authentication is a method for confirming a user’s identity using multiple devices, greatly reducing the chance of identity theft. 2FA is especially important nowadays thanks to the increased prevalence of cloud-based database hijacking. Boost your wireless network security with HTTPS Everywhere, a web browser extension that protects the information you share online with the HTTPS protocol, a more secure alternative to HTTP. Use a password manager like LastPass or KeyPass. These programs can store all your corporate passwords in an encrypted file, preventing leaks while conveniently storing all your passwords in one place. Password managers enable you to use different passwords for different accounts. Encrypt your disk drives for the most vital or vulnerable files. Almost every major operating system from Windows to MacOS to Linux offers full drive encryption. Ultimately, there’s no replacement for simply backing up everything. Hardware failures and data theft can happen to anyone after all. Wireless network security is serious business, so get the right tools for the job. Consider calling in the experts. In addition to selling top-quality networking equipment at affordable prices, Network IT offers excellent customer service and generous warranties on all the Cisco, IBM, Dell, or HP products you buy. Any business is vulnerable to wireless network security attacks. There are plenty of tricks and habits you can build up now to keep yourself protected. Educate your staff, encrypt sensitive data, remember to back up, and protect your wireless network access points. If you need secure networking equipment at affordable prices, Network IT has been providing refurbished packages to enterprise businesses for over 20 years. Contact us soon if you operate around the Toronto area.